Great story, although a bit heavy. I tried to trace the source of the heavy feeling, and realized that it probably came from the fact that we all know how this film will end, and we don't like the journey. 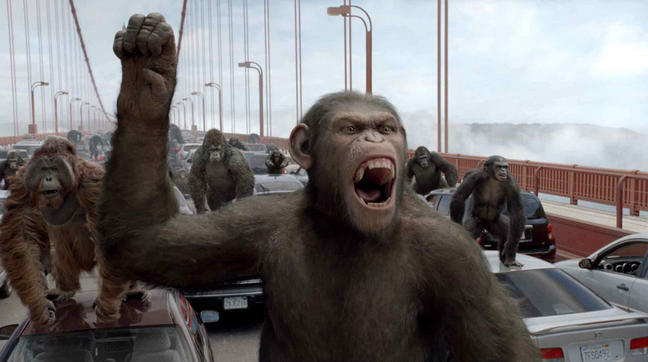 Who likes smart apes taking over the world, anyway? Also, there's this really disturbing feeling, which I believe comes from seeing animals that are as smart as people. That is creepy, in any culture, in any era. No exceptions. Talking apes are the creepiest. 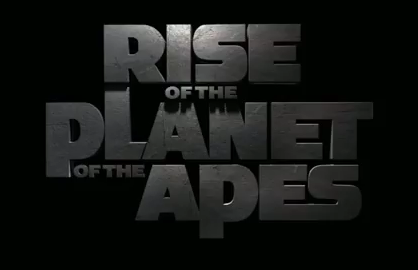 The first time Caesar spoke, I was as surprised as the zookeeper guy in the film. And the second time he spoke, I was still as surprised as James Franco. I think talking apes will always surprise me. 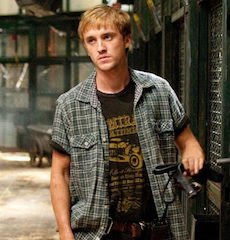 Another thing that surprised me: hearing Tom Felton talk with an American accent. Very good. The other Potter kids should learn from this guy. American accents will be their ticket to Hollywood. And Draco Malfoy got there first. He was also the first one to hug Lord Voldemort. I predict that it will only be a matter of time before motion-capture actors will become eligible for an acting award. Caesar's facial expressions are perfect, most of the time using just subtle twitches and gestures, but the result is a wonder to behold. All thanks to Andy Serkis, the Motion-Capture King. Woah, is Serkis really that small? And finally, to Ms. Freida Pinto: you're pretty, but one kind of gets used to your face after a while. Also, you don't show any skin. Next time, okay? Good. Rating: Seven point eight out of ten. The first one to hug Voldemort,LOL... And as far as I know, Serkis is will always be as tall as Gollum. Did anyone else notice that no other character aged except for Caesar? Come on, that's five or so years, right!? Hehe.